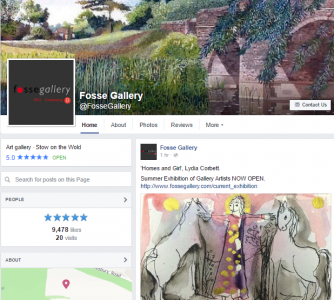 Fosse Gallery is a prestigious art gallery in the Cotswolds. We’ve been in sole charge of their social networking campaigns for a number of years as well as helping with some SEO on the website. The main focus is Facebook, with Twitter taking a lesser part of the budget. The plan is to increase Twitter’s budget in the future. Google Plus & Pinterest is also kept active. Facebook ‘likes’ are now well over the 12,000 mark & Twitter, Instagram & Pinterest are growing. Interaction on Facebook has grown enormously, with nearly 55,000 post likes in 2016. We also provide website analysis annually - it performs well in organic searches and traffic to the website has increased year on year. 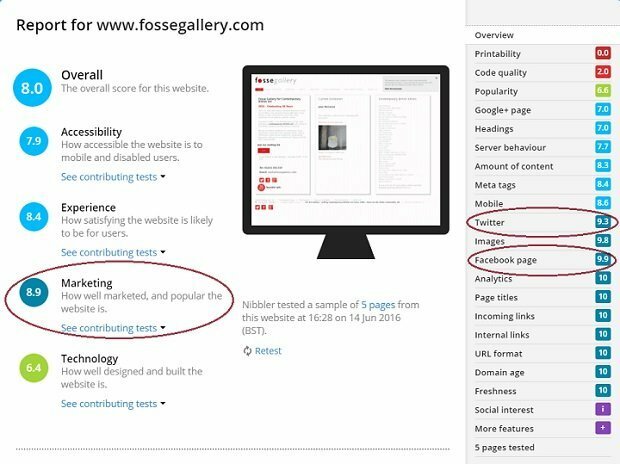 "The Fosse Gallery has benefited enormously from its collaboration with With Hindsite. Working closely and continuously through the reach of FB and Twitter we have established a sizeable and genuine network of followers who enjoy and respond to our exhibitions and campaigns. We have been able to grow our mailing list, improve sales and visits to the gallery. I am convinced that funds and time spent on this type of promotion far outweigh the more traditional approach."